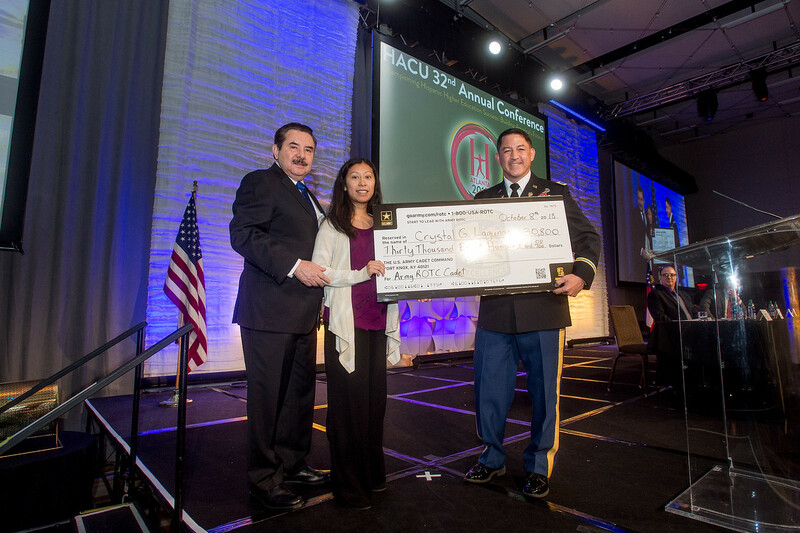 The U.S. Army presented a scholarship to a California college student during the Hispanic Association of Colleges and Universities 32nd Annual Conference in Atlanta. U.S. Army, Colonel Joseph Vongs made a check presentation of $30,800 on behalf of the Army to Crystal Lagunas to cover the remainder of the costs for her undergraduate degree. The award was presented on Oct. 8, during the Partnership Lunch of HACU’s 32nd Annual Conference. 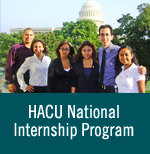 The U.S. Army has been a longstanding partner of HACU and continues to support its mission through its generous scholarship awards. HACU thanked all its conference sponsors and recognized U.S. Army and Central Intelligence Agency during the Partnership Lunch for their support and contributions. HACU President and CEO Antonio R. Flores with Crystal Lagunas and U.S. Army, Colonel Joseph Vongs.